A headline in last Friday's "Professional Pensions" was "DB surplus hits record high of £382bn on best estimate basis, says First Actuarial"
It is becoming increasingly clear that the the huge decline in decent pension provision in the UK (employer defined benefit schemes) is mistaken and even completely unnecessary. Millions of workers in this country will retire and die in poverty because of this. Pension schemes were valued according to outdated and irrelevant accounting measures which pretended that they had huge unmanageable deficits. It was a little bit like telling someone who had just taken out a 25 year mortgage to buy a home that they were really bankrupt since they could not immediately pay off the loan. 6 years ago the AMNT argued that defined benefit schemes were affordable and stopping workers from joining or closing schemes was a nonsense. Instead of using a broken yardstick to measure present and future costs, First Actuarial, have produced an index based upon a prudent estimate of investment performance. They calculate that the 6000 defined benefit schemes left need an actual return of only 2.6% per annum to pay its pension promises. While the stock market will go up and down, unless you honestly believe that the end of capitalism is nigh, surely in the long run, this return is more than achievable. 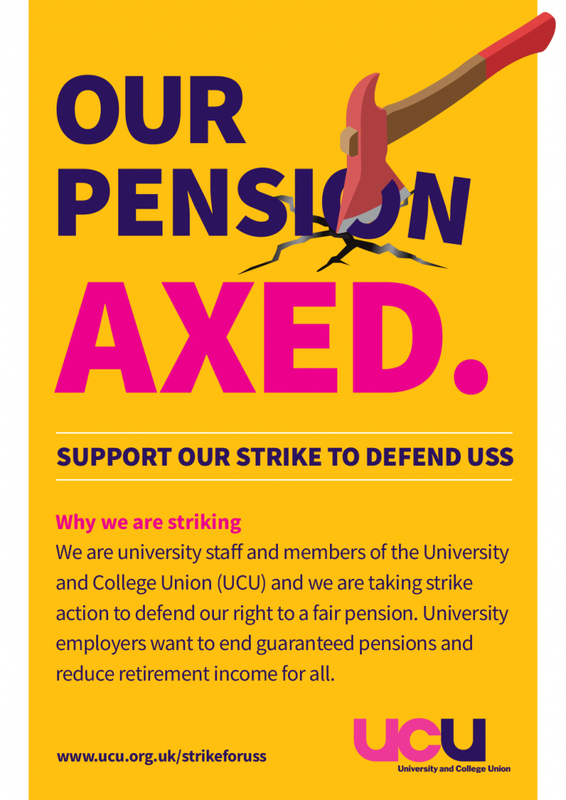 Last year there was a series of bitter strikes by University staff opposed to the dismantling of their supposedly bankrupt pension scheme USS. Under best estimate calculation they could have a surplus of £10 billion. "Discount rate controversy is nothing new. One rarely, if ever, hears people in the industry say that using the yield on high-quality corporate bonds (as accountants do), or a rate just above gilt yields (as most actuarial valuations do) is without problems. But the flaws are more serious than many realise. The theoretical case for these rates is acutely defective. They have wrecked company balance sheets, caused the misallocation of billions of pounds of corporate resources to plug illusory deficits, distorted scheme investment strategies, and played a major part in the collapse of private DB provision. If a disaster even a fraction of the size had befallen the state pension system, governments would have been voted out of office. It's a national scandal."